Best wallpaper websites for you to download free iPhone wallpapers for iPhone 6/6 plus/6s/7 and iPad. Top websites for iPhone wallpaper of high quality, and cool/cute iPhone wallpapers. One of the most simple but excellent ways to make your iPhone/iPad personal and unique is to change the wallpaper. However, it would be quite difficult to design and make your own iPhone/iPad wallpapers. Fortunately, there are many iPhone wallpaper websites available, from which you can download free wallpapers for iPhone 6/6 plus/6s/7. In this article, we will introduce you the best wallpaper websites, where you can download iPhone wallpaper of high quality and cool/cute iPhone wallpapers for free. iPhone6papers (www.iphone6papers.com) is one of the greatest places to find HD, cool, beautiful wallpapers for iPhone 6 and iPhone 6 Plus. The website updates the iPhone wallpaper resources very frequently, and you can also find up-to-date iPhone 6/6 Plus wallpapers. iPhone6papers offers you complete and comprehensive wallpaper categories, including animal, apple, beauty, Disney, music, illustration, sea, space, winter, K pop and much more. Have no idea about what kind of iPhone wallpapers you want? Check the New, Today, This week, All-time and Daily best recommendations of iPhone6papers. At iPhoneWalls (www.iphonewalls.net), you will find thousands of free and awesome wallpaper collections for iPhone6, 6s, 6 Plus, iPhone 5, 5s, SE and iPhone 4, 4s. It aims to offer you the best experience for downloading iPhone wallpapers. Based on various categories like abstract, apple, architecture, food & drinks, funny, games and etc., you can always find the iPhone wallpapers you like. iPhoneWalls also provides you with top iPhone wallpapers: top liked, top viewed and top downloaded. By clicking the “Download wallpaper” button, you can download your favorite wallpapers for your iPhone. iLikeWallpaper (www.ilikewallpaper.com) provides you with tons of free and cool 1080x1920 iPhone 7 Plus & iPhone 6s Plus, 750x1334 iPhone 7, iPhone 6s, and iPhone 5, iPhone 4 wallpapers. In addition to search iPhone wallpapers with Latest Updates, Most Popular and Hot Tags, you can also choose categories, purity, color or sort. iLikeWallpaper has Anime & Cartoons, Love, Beauty & Starts, Nature & Landscape, Pets & Animals, Sport, Technology, Movies & TV and other popular categories. 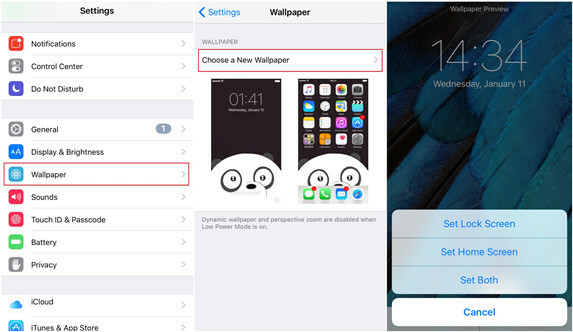 At iLikeWallpapers, you can view and download those HD wallpapers to your iPhone, iPad and iPod Touch easily. This is AlliPhoneWallpapers (www.alliphonewallpapers.com), one of the most popular iPhone wallpaper websites letting you search for and download the best and high-quality iPhone wallpapers. This place gives you a wide range of options, including Popular, Newest, Animals, Architecture, Babes, Cartoons/Anime, Movies, Music, Nature, Food/Drinks and much more. All its iPhone wallpaper comes with multiple different sizes, so you can make choice based on your own iPhone device model (iPhone 6, iPhone 6 Plus, iPhone 5/5s/c, iPhone 4/4s and iPhone 3G). Compared to other cute/cool iPhone wallpaper download websites, AlliPhoneWallpapers.com offers you a new feature to create your own iPhone wallpaper. In this way, you can make you iPhone background more unique. HDiPhone6wallpaper (www.hdiphone6wallpaper.com) provides you with rich HD iPhone wallpapers, and there are dozens of categories available to choose from, including 3D, Abstract, Animal, Apple, Car, Design, Cute, Food, Games, Girls, Green, Holiday, Sports, Music, Movie, Sunset and etc. All of its iPhone wallpapers are HD quality and free to download. With these HD quality wallpapers, you can make your iPhone and iPhone background more special and different from others. In addition, HDiPhone6wallpaper.com gives you shortcuts of downloading iPhone 6 Plus, iPhone 7 and iPhone 7 Plus wallpapers. Poolga (www.poolga.com) is another great place to find and download iPhone wallpapers. Compared to many other iPhone wallpaper download sites, Poolga showcases the best art and illustration, and it only provides high quality and standard wallpapers for iPhone, iPad and iPod Touch users. Each of its iPhone wallpaper comes with detailed introduction, and you will get better understanding of the composition and background story. In addition, Poolga offers free download to difference size of devices, including iPhone (320x480), iPhone 4 (640x960), iPhone 5 (640x1136), iPhone 6 (750x1334), iPhone 6 Plus (1242 x 2208), iPad (1024x1024) and iPad Retina (2048x2048). For anyone who is looking for the right place to download iPhone 7/iPhone 7Plus wallpapers, we will recommend iPhone.7papers.com. At iPhone7Papers.com, you will find tons of free HD wallpapers for your iPhone, and all of its wallpapers are collected and edited by designers. It updates iPhone wallpapers everyday. There are plenty of categories available to choose from, such as animal, car, Disney, flower, film, game, logo, mountain, music, Simpson, space, sports, sea and more. In addition to HD iPhone 7 & iPhone 7Plus wallpapers, iPhone7Papers.com supports iPhone SE, iPhone 5, iPhone 6 and iPhone 6Plus wallpapers as well. It would be more convenient to download iPhone/iPad wallpapers from websites to computer, and then batch transfer wallpapers from PC to iPhone/iPad. IOTrasnfer, as one of the best software for iPhone transfer, can easily transfer pictures from computer to iPhone/iPad/iPod Touch in one click. With IOTransfer, you can create different albums to save differnt wallpapers based on style, theme, color, etc. You can also bulk delete old wallpaers if you want to free up more space for new pictures/photos. IOTransfer also works well in management of music, video, app, iBook, voice memo, etc. If you don't know how to change iPhone wallpapers, follow these steps. Go to Settings > Wallpaper > Choose a New Wallpaper, you can choose Apple wallpapers between Dynamic and Stills modes or use your own photos and images as iPhone wallpapers. Besides, you are able to set wallpapers for Lock Screen, Home Screen or both of them.